JEP & The Dragons’ Den!! 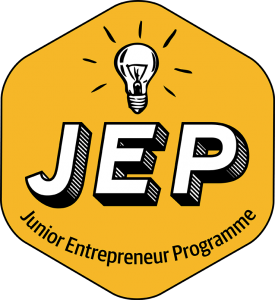 5th Class pupils have enrolled in this year’s Junior Entrepreneur Programme!! The children have been very busy thinking of new ideas, hoping for that ‘light-bulb’ moment to kick-start our project. 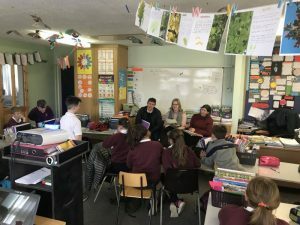 On Monday last, The children pitched their ideas to our Dragons’ Den, which consists Mr. Small, Ms. Slattery & Ms. Scanlon. They will decide which idea is best suited for our project. The learning that takes place during JEP will give children a greater understanding of many things that happen in the real world. They will get to understand how the value of goods and services is created and how skill, talent and creativity can create more than the sum of their parts in an entrepreneurial enterprise. Whether they ever become an entrepreneur or not is irrelevant. They will have a better understanding of what happens in their lives and will have their first opportunity to think in an entrepreneurial fashion. That’s something that will stand to them in their further education and throughout their working lives. The programme works closely with the local community – involving local entrepreneurs who share their story and that of their business with the pupils. This puts entrepreneurship in a local and meaningful context. Every pupil gets a chance to uncover their own strengths and play a key role in one of five distinct teams – Finance, Marketing, Design & Production, Sales and Storytelling.